While we all drift in the streams of this beautiful world, there is an uneasy magic as we paddle against these turbulent realms of the unknown. 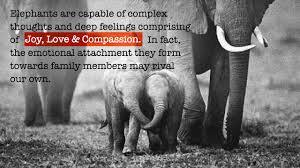 Because I am passionate about elephants, and want nothing more than everyone else to feel the same way, I realise that I am and always have been a ‘dreamer’. However these attacks on our elephants, rhinos, lions and all other endangered species does concern all of us: it is our children’s childrens heritage at stake. Last week I wrote about our Presidential Herd of Zimbabwe and the fact that Sharon Pincott had been stunk out. The above link is an update from five days ago. There has been a frenzied focus on the current poaching trends sweeping the southern African countries, and sadly these trends appear to be obscured in political murk. However, the good thing is that images or video clips are taken, posted and set free in this wonderful world of ‘cyber space’, taking only minutes to circumnavigate the world. There is nothing more distressing than watching a rhino whose horn has been ripped from it’s face staggering aimlessly around the game reserve. This clip reached millions of people in all corners of the world before the rangers had even had a chance to find the animal and put it out of it’s misery. This clip made for stressful viewing and I know I felt a deep gut wrenching sadness at man’s cruelty. Once the photo or clip is posted, it is out there: an ugly reality of what our wildlife is suffering because of man’s unquenchable greed. Sadly, harmony in the bush appears to be lost in the storms of political currents. While I write up my blog, which sometimes feels like crumbling pages of inadequate words, there are many brave people on the ground. So let us celebrate the human spirit by helping these wonderful men and woman on the front line by spreading the word and helping their causes. Chengeta Wildlife…Rory Young is a wildlife tracker and activist who has been fighting against the dark and hungry greed of poaching all his life. He is at one with the bush reading all the signs and stories left by different animals and humans. Rory, with the help of Chengeta is implementing a full time, comprehensive training program which will also enable him to provide the rangers with the resources to carry out their important work. What happens to the orphans of these horrific and grisly attacks on the wildlife. Care for Wild represents the courageous efforts of a lady Petronel Nieuwoudt who operates in the scenic area of Barberton – just outside Nelspruit in Mpumalanga. Please take a look at the link. Let each and every one of us walk with purpose on our chosen paths, remembering that the majority of us two legged creatures want to stand tall and be counted. I have met and feel that I know many of my contacts through this wonderful world of technology. Like me, each and every one of them are full of weighty concerns regarding our wildlife and can no longer be silent witnesses to the carnage taking place in the bush. My computer is one commodity I would keep in a paradise devoid of all other modern trappings. The social networks are a powerful tool to force a state of profound change. Our African bush, the womb of the universe used to be full of vibrant scents, rich earth and animals. It was survival of the fittest. 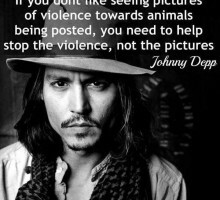 Let us not allow our wildlife to become pages of smudged photographs and memories. We need to stand up against this corruption and greed, spread the word and help the men and women on the ground to protect the wildlife during these dark times. Only by looking can we see their pain. 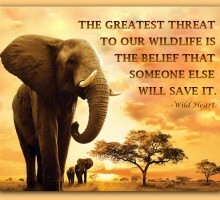 Our elephants, rhinos and other wildlife need us. Let us celebrate their existence. In 1990 President Robert Mugabe decreed that the plus minus 450 herd of elephants that roamed on the the state land bordering Hwange should never be culled or hunted. In essence, he gave them ‘safe passage’. This was done to symbolize Zimbabwe’s commitment to ‘responsible’ wildlife management. However, this short lived promise was soon to be whipped away and scattered amongst the leaves. The ‘master of illusion’, or ‘delusion’ had been weaving his wicked magic. By 1997, his promise to this special herd was null in void as Zimbabwe lobbied CITES to sell off a stock pile of ivory to China, claiming that Zimbabwe’s elephants now had to ‘pay for their rent’. Licences were then dished out and suddenly Mugabe’s lips were stitched tight on the subject, and this herd’s protection was short lived. 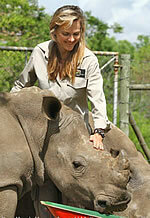 Sharon Pincott, an Australian wildlife enthusiast arrived on the scene on 5th March 2001. Like an angel of mercy, she took this special herd of elephants under her wing. She has spent 13 years with these elephants…dedicating her time and love while monitoring and protecting them. Sharon founded and has run the ‘Presidential Elephant Conservation Project’ since 2001…a long uphill battle all the way. Shadows of corruption and the stench of greed have soured the air, but she had the courage to take a stance…often standing alone as she fought on the side of these elephants. These raw and violent battlefields are now including land claims that have resurfaced in early 2014. Despite a directive being issued in December 2013 by Zimbabwe’s Cabinet that offer letters be withdrawn,the claimont Elisabeth Pasalk / Freeman has totally disregarded these orders and gone ahead to build a safari lodge. She has changed the name of the Kanondo area to ‘Gwango Elephant Lodge.’ She is understood to be an American resident, and the sister of a well known safari operator. Sharon Pincott has sadly been stunk out. After 13 years of dedication and love to these animals, she has now written her last post ‘Who destroyed the Presidential Elephants of Zimbabwe?’ I read this last post with my heart pounding like a 10 pound hammer against my ribs cage. As a Zimbabwean who is passionate about my country, I again feel fear as it menaces up and against me. What will become of these ambling giants who wear their huge hearts on their sleeve. I can see and smell the bush that echoes with their rumbles and pulsates with their personalities. These intelligent and sentient creatures will have to wonder why ‘their beloved friend’ has had to leave. I feel fear for them as their ‘echoes of harmony are lost in the storm of political currents.’ What an uncertain future lies ahead for them? Like all living creatures in Zimbabwe, they face the threat of falling through the ever widening cracks into chaos. To Sharon Pincott, I wish her well and can only say thank you….You truly have been an inspiration to us all. God Speed. ‘Who will watch over the Presidential Elephants?’ ( My poem…dedicated to the elephants and their human friend.) Thank you to all those incredible men and women out there on the ground…the thin line between our wildlife and ‘the big empty.’ We salute all of you. When will us humans learn that these elephants, rhino and other wildlife need our protection. We need to ‘Chengeta Wildlife’ . Now more than ever, our rangers need help to fight the fight because ‘when the earth beings grow greedy, the animals will slowly disappear’. 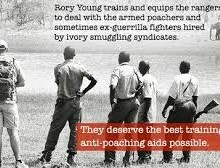 Rory Young is not only a wildlife tracker and activist who has been fighting against the dark and hungry shadows of poaching all his life, he is also a prolific and exceptional writer. Born in Zambia and brought up in different parts of Africa, he learnt to treat the earth well, reading the signs and stories left by different animals and humans in the bush. He managed to blend in with the natural surroundings that had become his playground and feasting on the wonders of nature. The songs and calls of the bush speak to him. The passion for the bush never left him and he decided to make it his life’s work to combat the poaching problem. Many memories have been stored away from our numerous trips floating down the magnificent and rather forbidding Zambezi river. I have been embraced by the warm sultry breeze and lain under the African half moon hanging suspended in the endless sky. They say,’ once you have been bitten by the mosquito, you cannot get Africa out of your blood.’ Well I can certainly vouch for that. There is nothing more awe inspiring than the seductive lapping of water against the boat and the melancholy call of the fish eagle as he spreads his wings cruising the empty air pockets. BUT: nothing will ever beat watching an elderly elephant bull, his large ivory tusks weighing down his massive head as he romances the river line. A river line that has been shaped over time by the rough caresses of fast flowing waters. These images leave an everlasting imprint on the mind. To view these magnificent animals in their natural surrounds is truly like balm on the soul. These imprints on my mind are now over eight years old and they do not fade. However that is what they are : only imprints and distant memories. This leads to questions that leave a lump the size of a large green apple lodged in my throat. If we don’t stop this rampant poaching…what does the future hold? I have seen these animals in the wild and am so scared that they will become just that…and imprint and distant memory. Portraits of a ravaged land by Nick Brandt says it all. 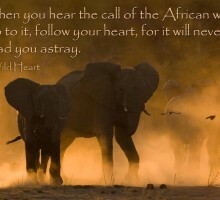 The fate of Africa’s elephants along with other wildlife hangs by a thread. It is on this thread that we as custodians of the earth need to concentrate and secure. There are many selfless and dedicated people out there who have been involved in conservation, and without them these magnificent animals would surely have been lost to the world. 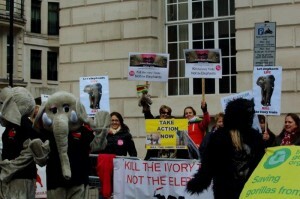 Each and every person dedicating some of their time to saving the elephants and other wildlife are needed and appreciated. Each and every one of them brings something different to the table. The Tashinga Initiative in Zimbabwe is a cause close to my heart and guys we salute you all. You are doing an amazing job under difficult circumstances. While habitat loss is a real threat to these animals, nature has always had ways of keeping their numbers under control. Severe droughts would ravage the land and a large percentage of elephants throughout the entire elephant populations in the region would be lost. During these harsh and stressful times, elephant cows do not conceive, and with the losses from the drought the pressure on the land is relieved. These natural disasters, though cruel are efficient in keeping down the numbers. However mother nature and her hot dry winds are not where the biggest problem lies. Corruption and greed are decimating Africa’s elephants. The men on the ground need our support. They cannot fight this war on their own. African Governments also need to take action and to be a part of the solution. 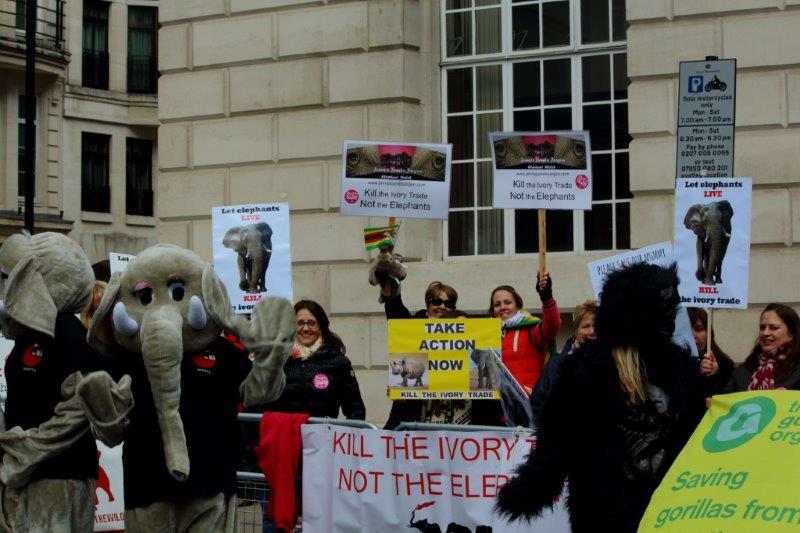 Those with clout need to stop the demand so that poaching makes no economical sense at all. But while all these cogs are turning, we need to ‘CHENGETA WILDLIFE‘ (look after the wildlife) before it is too late. Now more than ever, these ambling giants are so vulnerable. Their social structures have been pulled apart by the cruel efficiency of the gun. Every piece of ivory, whether carved or in it’s original form is an evocative memory of a once proud and regal elephant, who has suffered unjust cruelty in the most unspeakable way. This has all been in the name of ‘a piece of dentine’ or ‘teeth’ for humans to own trinkets or jewelry. HOW, I ask can any human want to own something that is so symbolic of suffering and death? Ask yourselves a question. ‘What does it say about us as humans when an elephant is worth more dead than alive?’ Let’s celebrate their life. I often think back to the day when I was told that there was absolutely nothing that I as an individual could do to help in this continual fight against the evils of poaching. All to often we close our minds to the blood red streaks that mar our African landscape. 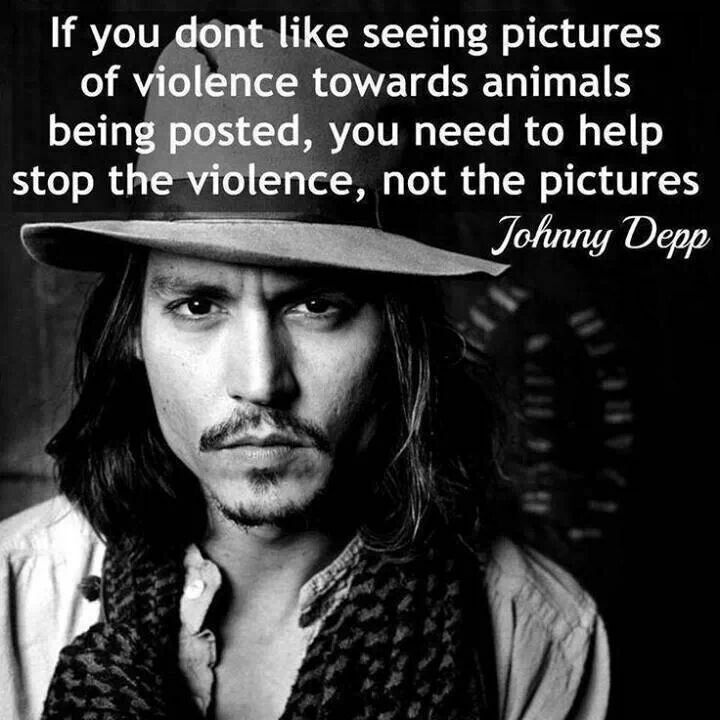 While the world watches, the images of butchered animals, bodies slightly bloated and legs suspended up in the air leap out of the computer or television, eyes staring unseeingly: pleading for somebody to take notice. I cannot sit and do nothing. I feel their pain and anguish and beg all of you, ‘courage does not always need to be a huge roar.’ I started jennysjumbojargon in November 2013 with the thought of putting into words through poetry about the continual attack on these animals. I describe the pain and torment that these creatures must feel: this flanks me, the acrid smell of gunfire and the metallic taste of blood that clogs my throat. This is not a violent storm that has bullied its way into the African bush. This is a dark menacing chaos of greed, corruption and destruction. These ruthless killers are turning the African bush into a wild sweltering inferno, flames devouring any animal with tusks or horns. These animals are being hemmed in by a force of angry heat and unrelenting attacks. At the rate these pachyderms are being poached, mortality shadows them and it does not matter how large or small their personal treasure. I would love to be in a position to stop the demand. All I can do is to share work done by others, support all the wildlife groups and leave that enormous part of the problem to those that have clout. Yao Ming and Jackie Chan are doing amazing work to raise awareness in the Asian countries on the plight of the African elephants and rhinos. And then of course we have the good men on the ground. Those bush warriors who put their lives on the line to ensure the safety of the wildlife. 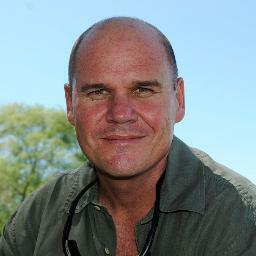 Africa needs many more teams on the ground, doing the actual anti-poaching work. Without them there is really no hope. 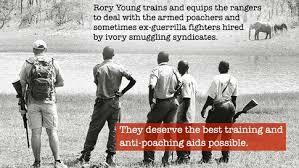 Rory has already volunteered much of his time in providing much needed training to wildlife protection teams, but violent groups in the region have now started to look to the ivory trade to fund terrorist activities. Rory is now seeking to implement a full time, comprehensive training program and provide the rangers with the resources they need to carry out their important work. 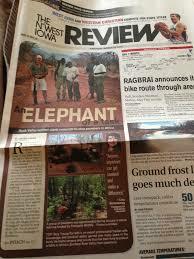 Chengeta Wildlife.org was started by Lisa Groenweg of Rock Valley, Iowa. Like Lisa, we too can do our bit to help combat the horrors of poaching. Collectively, we can ensure the continuation of Chengeta Wildlife’s ability to adequately train and equip the necessary new generation of rangers required to assist the continuation of the circle of life in elephants within their natural habitats in Africa.